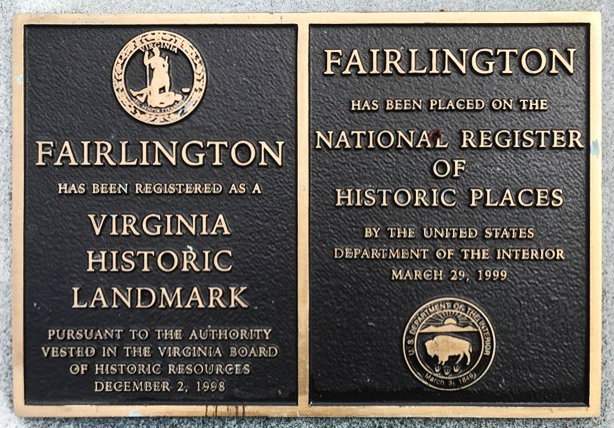 With these words, the Arlington County, Virginia, Office of Historic Preservation encapsulated Fairlington’s history on a marker installed at the corner of Quaker Lane and South 32nd Streets. Registered as a Virginia Historic Landmark in 1998 and placed on the National Register of Historic Places in 1999, Fairlington is as vital a community today as it was when it was built. In 2002, the community was given a “Test of Time” award by the Virginia Society of the American Institute of Architects, in recognition of the lasting value of its excellence of architectural design. 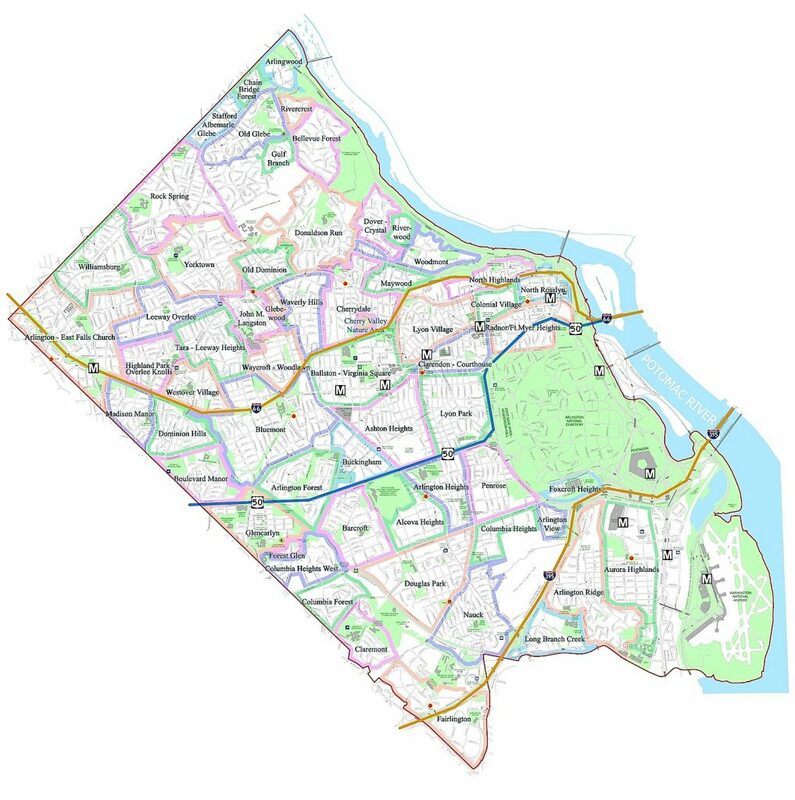 Located approximately 2.5 miles southwest of the Pentagon, and within the original boundaries of the District of Columbia, Fairlington sits on land near the site of a 17th century Necostin Indian village, granted in the early 18th century to William Struttfield. George Washington owned a portion of the land that became Fairlington, near the Abingdon Elementary School and South 28th Street. The land on which Fairlington would stand was part of Union-occupied Alexandria County and the defenses of Washington. 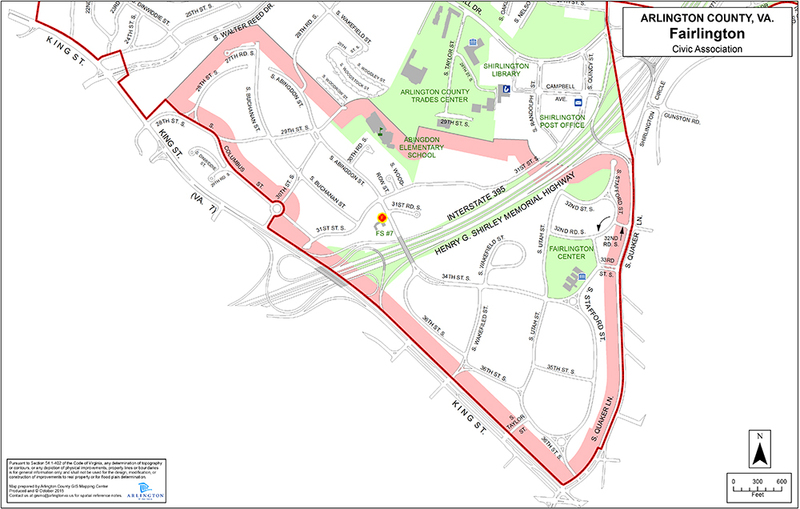 Among the 22 forts located in what is now Arlington County, one was in what is now North Fairlington, and another was near it. Despite the military use, the land remained largely wooded, with small farms, well into the 20th century and until the Defense Homes Corporation purchased it in 1941. 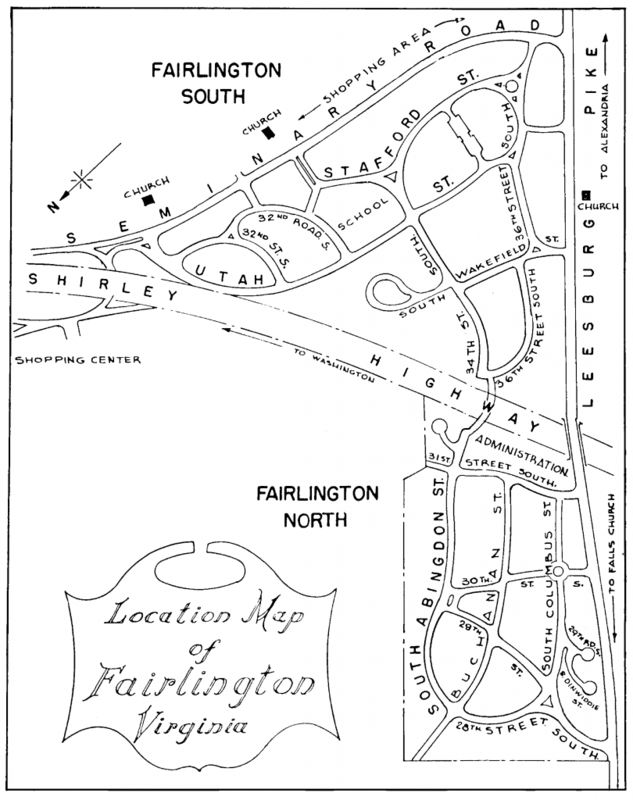 Fairlington is organized into seven, independent condominium associations: Fairlington Arbor, Fairlington Commons, Fairlington Glen, Fairlington Green, Fairlington Meadows, Fairlington Mews, and Fairlington Villages. The civic association, the Fairlington Citizens Association, represents the community in local affairs and publishes the All Fairlington Bulletin. The Fairlington Historical Society promotes the preservation of the community’s unique history and legacy.